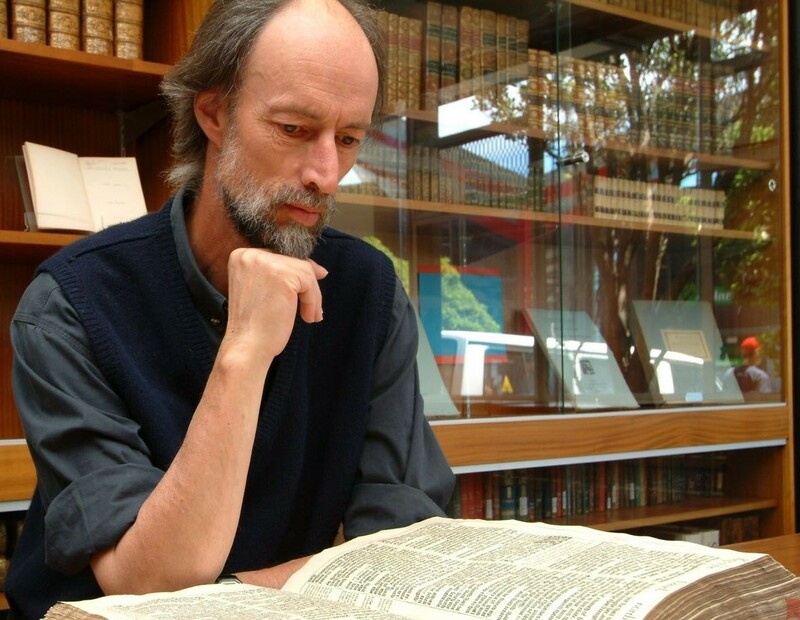 I recently had the opportunity to interview Professor David Norton, editor of the New Cambridge Paragraph Bible. Professor Norton graciously put up with my questions and has provided us with a detailed look at the purpose and need for an edited edition of the KJV. I personally consider the New Cambridge Paragraph Bible to be one of the most important KJV’s ever published and this interview will explain why. On to the interview. Image – David Norton. 2004. In Victoria University of Wellington, NZ, library, with a 1640 KJB open at Daniel 11. This was the last page-for-page printing of the first edition by the King’s Printer, Robert Barker. On my mother’s side I am a descendant of one of the founders of Methodism, Daniel Rowland. There were various Bibles at home, two of my mother’s favourites being Phillips and Moffatt. She also had Bates’s The Bible Designed to be Read as Literature and Oursler’s The Greatest Story Ever Told. So I grew up knowing that there were various Bibles, and knew that some people thought it not only a great religious but a great literary work. At Cambridge University I remember one of my tutors saying that the Song of Solomon was one of the finest love poems ever written, and I knew that one of the Professors had written a book about the Bible as literature. Such things lay as a sediment in my consciousness. Meanwhile I studied English literature, and taught for a year in California, where I met my wife. Back at Cambridge I wrote a thesis on D.H. Lawrence, then became a lecturer in English at Victoria University of Wellington, New Zealand. Lawrence, who once described himself as ‘a passionately religious man,’ stirred up my biblical sediments. I needed to know more about the Bible to write the book I wanted to write on him, so I read the Bible, and I read about the Bible, especially what people had written about it as literature. This became an absorbing—because untold—story. So I abandoned Lawrence and set out to tell the story. 13 years later, the result was A History of the Bible as Literature (Cambridge University Press, chosen in 1994 by the Conference on Christianity and Literature as their book of the year). At this time CUP was thinking about re-setting its text of the KJB, but did not know what the basis of this text was, nor whether anything needed doing to it. I knew that the text (as with all the modern printings except the facsimiles) had changed from the 1611 translators’ original, sometimes in ways that were questionable. I suggested that a new setting was an opportunity to edit the text in light of the first edition, other material from the translators, and the history of the text. Something that was truer to the translators’ own work could be created. This was also an opportunity revise the incidental details of the text, that is, the spelling, punctuation and presentation. CUP, which is one of the official British guardians of the KJB text, asked me to do what I had described. This was an almost overwhelming privilege: to edit one of the most important texts in English in a way that would make it both more authentic and more alive for its readers. After a decade, The New Cambridge Bible was published simultaneously with A Textual History of the King James Bible, my account of the history of the text and of the work that I had done. Penguin Books published the paperback version, for which I wrote a new introduction and brief notes. One of the most personally pleasing outcomes of this accidental career as a biblical scholar was my father’s delight in the scholarly work and my mother’s pleasure in reading this descendant of those Bibles she had loved. I have written one more book about the Bible, The King James Bible: a Short History from Tyndale to Today (CUP, 2011), and, in retirement, have now almost finished a book on Jane Austen. You’re the editor of the New Cambridge Paragraph Bible. What does that mean and what was involved? 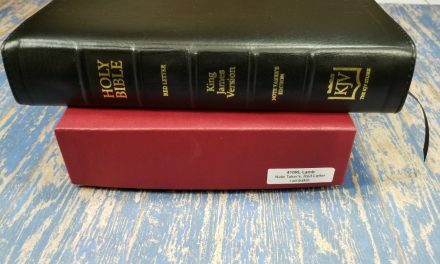 I had to know everything I could about the KJB, especially about the history of English Bible translation and about the making of the KJB and its subsequent history. Building on the work of others, I created a list of the changes in the text between 1611 and the present. To this I added all that could be gleaned from a Bishops’ Bible in the Bodleian Library, Oxford: in this there are manuscript annotations that make up a draft of the KJB Old Testament: after the first edition, this, I discovered, is the closest we can get to the translators’ decisions. No other edition had ever made use of this material. Among its revelations was that ‘shewed’ in ‘therefore have I shewed them by the Prophets’ (Hosea 6:5) was not a printing error for ‘hewed.’ Now, there is a simple case that ‘hewed’ is right: it means much the same as ‘cut down,’ which is the reading in the text they were revising and is also the literal meaning of the Hebrew. However, ‘shewed’ is what a KJB translator wrote and the printer of the first edition faithfully reproduced. Working through such problems required some knowledge of Hebrew, Greek and Latin, and a great deal of help from others. In this case, a friend who had edited Hosea knew that one of the Targums had a reading corresponding to ‘shewed.’ Together with an annotation in the Geneva Bible, this gave a rationale for the translators’ reading. Such considerations went into all decisions about variant readings. They also made for a general case that first edition readings should be retained unless they were clearly printer’s errors. Work on what I have called the incidental details of the text was sometimes almost as tricky. Standard KJBs give a partly-modernised text that makes it more difficult to read than it needs to be, and even sometimes changes or obscures the meaning. 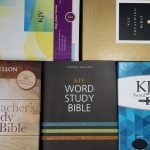 I compiled a complete wordlist of the KJB’s English, considered the spellings one by one, in light of modern spelling and historical meaning. The seemingly simple word, ‘instead,’ shows how the meaning can be obscured. The translators always give it as ‘in stead,’ meaning in the place of. ‘Stead,’ place, is a normal part of the KJB’s vocabulary. NCPB’s restoration of ‘in stead’ helps to bring back meaning to ‘the LORD God…tooke one of his ribs, and closed vp the flesh in stead thereof’ (Genesis 2:21). Of course, one wouldn’t want to keep ‘tooke’ and ‘vp.’ Modernising spelling means changing such words to ‘took’ and ‘up,’ but never making a change that misrepresents the meaning. Punctuation, including paragraphing and speech marks, was another huge challenge. In general, I followed 1611’s punctuation, which is more like modern punctuation than the 18th-century punctuation of most KJBs. A persistent problem in the KJB (and many other Bibles) is its presentation in verses. Each verse looks like a new paragraph—or sometimes, more justifiably, a poetic line. This damages what Tyndale, the greatest hero of the English Bible, called ‘the process, order and meaning’ of the text. As in some other Bibles, I have tried to minimise this damage by using paragraphs. The verse numbers are there, quietly superscript, for reader to use when needed. I’m very pleased with the NCPB’s presentation. CUP, true to its fine history as a Bible printer, did a superb job with the printing. This sounds like a large scholarly project. How long did the project take? Why was an edit needed? One could say it wasn’t needed. CUP’s text was an accurate representation of what had become the traditional British text (American texts are slightly different). That traditional text is essentially what Oxford made it in its 1769 edition—a text with 150 years of changes in it, and clothed in 18th-century garments. But when something so good and so important as the KJB is not given as well and as truly as it could be, an edit was needed. How does it relate to the 1873 edition by Scrivener and what are some of the major differences? NCPB is a successor to Scrivener’s Cambridge Paragraph Bible, as its title indicates. I greatly respect what he did, but beg to differ in his treatment of the variant readings. He thought an editor should try to perfect the text in light of the originals. This allows for continuous ‘improvement:’ at some point, the text becomes a new version. I have less respect for his treatment of spelling, which is quirky, old-fashioned and inconsistent. What were some of the difficulties you faced and how did you make the difficult decisions? I have already described some of these. I thought hard, assembled all the evidence I could get, and constantly asked for advice. After the NCPB came out, correspondents pointed out errors (and made some suggestions). I was sometimes mortified by the errors, and all were corrected, with a list of the corrections posted by CUP. I am very grateful to all the correspondents. The subsequent CUP and Penguin printings have benefitted from their careful reading. Were the edits received by scholars and the public as you expected? The reception was very pleasing. I have looked back at some of the reviews, and find things like this: ‘It is hard to overstate Norton’s achievement: it is a work of colossal and magnificent scholarship and devotion to the text of sacred Scripture. Like a conservationist bringing back to life the colours of a faded and damaged painting, Norton has shed new light on an old treasure’ (Baptist Times). The KJB is a traditional text, and, like the translators themselves, I expected some objection to change. This there was. It’s worth noting that CUP prints both the NCPB and the traditional text. The paragraph format allows you to fix broken sentences. Many paragraph KJV’s have left the first word of a verse as a capitol but you’ve corrected it as if there were no verse divisions. My favorite fix for the layout is Psalm 98:8, 9. What are some of your favorites or some you consider the most important? Thanks for identifying that piece of layout. Hosea 6:5, discussed above, was probably the most interesting reading because so much was involved in the presence or absence of a single letter: every jot and tittle matters. I wouldn’t single out any individual changes as especially important. Rather, it was the effect of the whole that mattered: a KJB that honours the work of the translators, and speaks their truth to the reader more clearly than ever before. The New Testament includes a lot more paragraphs than is normally seen in a KJV (including those using pilcrows). How did you decide where to break the paragraphs? The first edition has no paragraph marks after Acts 20, only one in Psalms, and six in the Apocrypha. I suspect that the paragraphing was part of the final work on the text, possibly done as it was being printed. It seems that whoever was doing it did not have time to complete what was a very substantial task (their base text, was unparagraphed). Most editions simply leave things unchanged, which is irresponsible. I made my decisions using my own judgement. I based this on the flow of the text, the pilcrows or paraphs in the first edition, and decisions made by other editors (Scrivener, Bates, etc. ), and other translators. Other translations have included poetic settings in the New Testament, but the New Cambridge Paragraph Bible doesn’t. What are your thoughts on this? I did use poetic form in Luke 1 and 2 where there are songs. Wouldn’t it have been nice, at Luke 1:66, to have put ‘And Mary said’ in bold type and centered, as the heading to a poem? This is what Tyndale did in 1526. Dialog has been placed in quotations. This is unusual for a KJV. Can you elaborate on this? Most KJBs, like the first edition, indicate speech only by the use of a capital letter. Nothing shows where a speech finishes. I hope the quotation marks help readers to follow the text. The verse numbers are small enough to not notice them when reading. Is reading the primary purpose of the New Cambridge Paragraph Bible? Do you also see it as good for preaching, study, etc.? Yes, yes. Are we not all readers, whether silent or aloud or studying? And study is better when one sees not just a few words, but the words around them. You’ve included the translator’s footnotes. Can you talk about their importance? They show something of the translators’ understanding of the text, so I think they are worth having. As in the first edition, I have placed them in the margin. For the same reason, I included the translators’ preface. I think it is an integral part of the first edition, and it says a lot about the translators’ view of their work. Some complain if the footnotes are included while others complain if they’re not. Do you consider the translator’s footnotes to be part of the translation that the translators intended for publisher to include? The 8,422 notes are distinctive to the KJB and come from the translators. They give more literal translations and alternative readings, both of which form part of their understanding of the text. They also show that the translators did not consider their text alone—or any translation alone—was the final truth. They are explicit about this in the preface: ‘the very meanest translation of the Bible in English set forth by men of our profession…containeth the word of God, nay, is the word of God.’ They aimed to make ‘one principal good [translation], not justly to be excepted against.’ It was to be the main translation of the Church, made as well as could be. The notes, which also include miscellaneous information, are, therefore, part of their understanding not just of particular texts but of how one should think of the Bible as a whole. They were a necessary inclusion in the NCPB. In passing, we shouldn’t think of a publisher. The King’s Printer worked for the translators rather than the other way round. He printed what they gave him, including the notes and the preface. He did add several things that may or may not have had an input from them, the Calendar, the Genealogy and the map. You’ve removed italics for supplied words. It seems like there were a lot of supplied words that were not in italics to begin with. Can you talk about the advantage of removing them compared to what is lost? The italics are an editorial marking of the text, designed to show the reader where words not found in the original were added because English demanded them. So, English frequently has to supply the verb ‘to be’ in the Old Testament. The first edition, and many subsequently, used small roman type rather than the surrounding large black letter type for such words, effectively de-emphasising them: ‘and darkness was upon the face of the deep.’ Italics, however, draw attention to these words. There is a second problem: they are, as you indicate, badly done (Scrivener was much more scathing and made a valiant attempt to reform them). The reader or student who wants to discover the connections between the English and the original languages now has far better tools than the italics could ever be. There are Strong’s numbers, there are interlinear texts and there are digital texts such as those produced by Logos. Even though you’ve updated spelling and punctuation, would you say the New Cambridge Paragraph Bible the most accurate KJV available? Yes, taking ‘accurate’ as meaning, true to the work of the translators. The New Cambridge Paragraph Bible is available in large print (currently out of print), a two-volume folio edition, a Penguin Classics paperback, and a personal size edition in both calfskin and hardcover with and without the Apocrypha. Did I miss any editions? 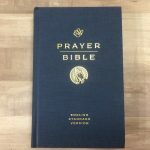 What is your favorite edition of the New Cambridge Paragraph Bible? For all that it has reminders of my human failures as an editor, the first edition, leather bound, is my favourite: a beautiful, first-born child. I’m not sure what you mean by ‘a two-volume folio edition’—perhaps the Folio Society Bible (2008), which I have only seen as a single volume. There was also a diamond-encrusted Folio Society printing in 2011, but I have never seen it. Is there anything else you’d like our readers to know about the New Cambridge Paragraph Bible or any other projects you’ve worked on? My Textual History gives an account of how the KJB text was created and then changed over time. It shows how the received text of 1769 was created, and how it differs from 1611. It gives a full account of the principles used in making the NCPB, and it gives, with discussion, every variant reading. I hope this is of use to anyone interested in the exact nature of the KJB text. I’d like to say a special thank you to Professor Norton for agreeing to this interview. I know how hard it can be to revisit your thought process of a project from a decade ago and he put a lot of time into these answers. For more books from David Norton, see his Amazon author page. 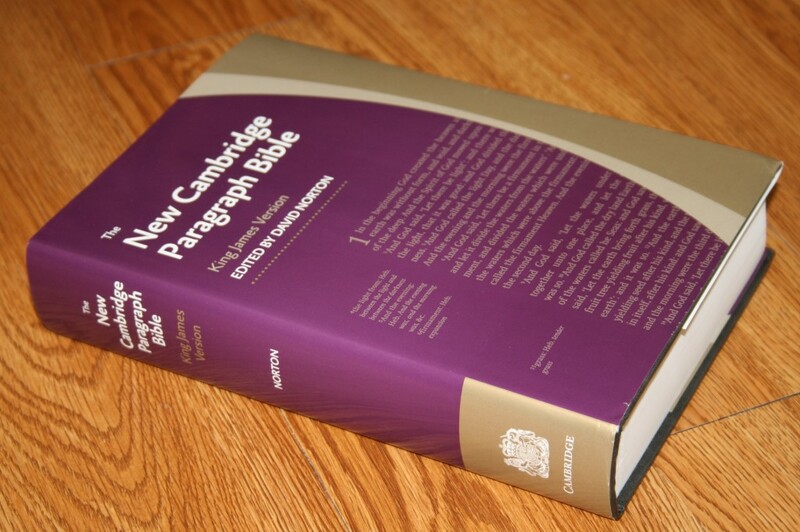 Here’s my review of the New Cambridge Paragraph Bible. I’m currently working on a new review of this Bible and will post a link here. This has the same foolish design that the Concord has. A translator’s note should be linked to the text by a simple numeral superscript – not redundantly reprinting the text in the margin, and having the reader to match and trace words, before finally getting to the translator’s note. This is just common sense – 2 steps verses one. This is beyond reprehensible. I had no idea Cambridge was so apostate. If an American publisher was this decadent, we would be boycotting. 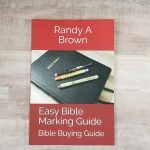 I think Biblebuyingguide.com should warn believers on the homepage about the cesspool of homosexuality at Cambridge publishing. This is just outrageous. I’ve actually been in contact with Cambridge about this. From what I’m gathering, this isn’t the position of the Bible publishing group, but rather the university which is a different branch of Cambridge. It looks like the email was sent to the wrong list. They’re investigating what happened.